A good thing in DeKalb County is getting even better. Cliff Valley School, which has been educating Pre-K and elementary-age children with a passion since starting as a cooperative preschool in 1966, soon will be extending its reach to include grades six through eight, as well. Already, the school with a family atmosphere has much to commend it. In a nod to the fact that there is no such thing as a homogenous class, Cliff Valley’s classrooms are staffed so that students spend 80% to 90% of their day in small groups, which gives them each more time to participate. The school’s global perspective is “interesting and important,” according to Head of School Michael Edwards, who says that Cliff Valley helps children see not just the differences among people in other parts of the world, but the similarities, too. Few schools can boast an international trip for fifth graders; Cliff Valley’s fifth graders visit Costa Rica. An outdoor classroom on campus fosters an emphasis on environmental science. 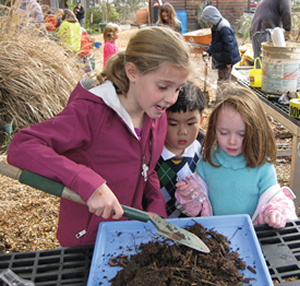 Students are given a voice in the process of choosing projects in the outdoor classroom. For example, during the drought, children became interested in water harvesting, another year they wanted to create a nature trail. “One of the things we provide is a very comprehensive program,” Edwards explains. “We are committed to help kids develop socially and emotionally.” He points to Cliff Valley’s arts, music and foreign language programming, in addition to the outdoor classroom, as notable parts of that comprehensive program. 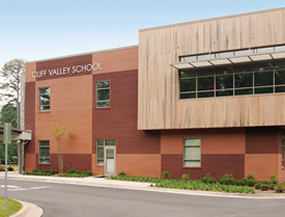 Cliff Valley School teaches students to think critically, preparing them to be responsible decision-makers and to manage their lives successfully in a complex and diverse world. Using an integrated curriculum based on established developmental theories, students are allowed to safely test, observe and explore their environment in a community that nurtures and respects each individual child. With all this going for Cliff Valley, why is expansion needed? Edwards points out that, while the school has always tried to be responsive to parents (such as when the elementary grades were added), “this time around there’s external demand.” There’s a market in this part of town for additional educational options for children in grades six through eight. He also cites research showing the advantages of a Pre-K-8 education. In general, students benefit when they don’t have to transition to a new school for sixth grade. Higher grade students have leadership opportunities instead of starting back at the bottom of the heap when they move to a new school for sixth grade. The instructional expansion will begin by adding sixth grade in August 2011, seventh grade in August 2012, and eighth grade in August 2013. A facility expansion planned for completion in 2012 will provide additional classroom and administrative space, a science lab, a new music room, and a gymnasium with a stage for performing arts. “This is an incredibly exciting time for our school,” says Edwards.